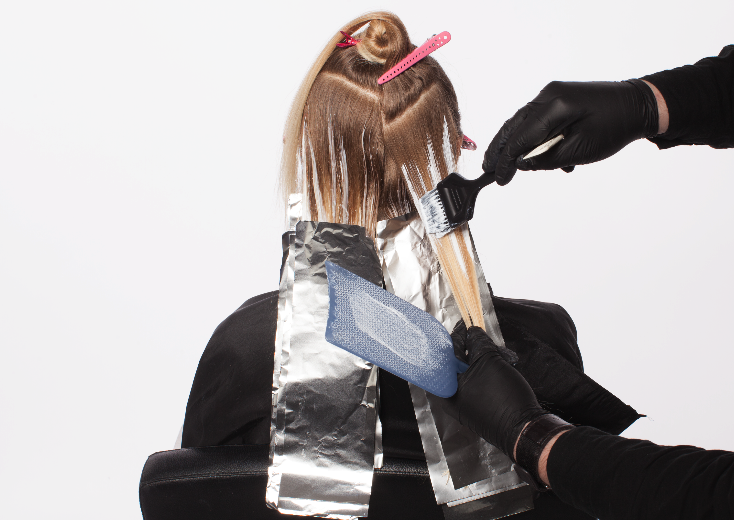 Balayage comes from the French word, meaning to sweep or to paint. It is a freehand technique which allows for a natural looking hair colour, similar to what the sun does naturally. It has softer, less noticeable regrowth lines and the principle is to be natural and subtle. For appointments, call us or book online today. Although this is a free hand technique our sectioning systems still need to be precise and methodical. Working upwards from the nape using a balyage board, colour is applied using our free hand technique. Our systems allow for the colour to be individually designed for you around your natural crown and parting. Normally the commitment level is LOW for this technique, but if you have white hair this might lift the commitment level higher. Typically Balayage can last up to 4 months – however, if you have white hair you may need to come in sooner for a roots touch up. Balayage will be personalised to you and your individual hair type. It offers great flexibility with low upkeep and the results can be gorgeously natural or more unique in order to reflect your personality. Some of our most famous balayages include ash blonde, red, pink, copper and rose gold.